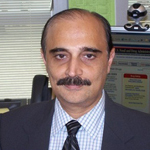 Dr. Mehta is the Director, DCP I (Division of Clinical Pharmacology I), OCP (Office of Clinical Pharmacology), in CDER (Center for Drug Evaluation and Research), FDA. His division is responsible for reviewing the clinical pharmacology and biopharmaceutical aspects of the Cardio-Renal, Neuropharmacological and Psychiatric drug products. He obtained his M.Sc. from University of Bombay in Synthetic Organic Chemistry in 1979, M.S. from University of Houston in Medicinal Chemistry in 1981, and his Ph.D. in Pharmacokinetics from the University of Pittsburgh in 1986 and joined FDA as a reviewer the same year. Dr. Mehul Mehta has authored numerous publications, guidances and book chapters.